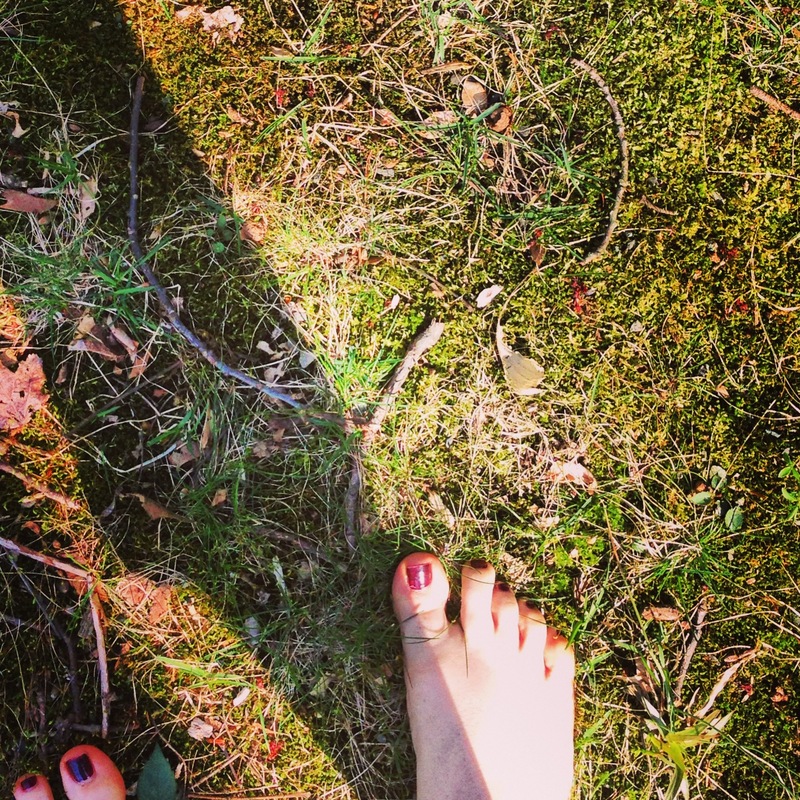 Walking barefoot in the quiet of a Spring day. Last night I had to explain to someone close to me how my body works. How, after having had Lyme Disease off and on for almost twenty years, it’s harder to do simple things that I can no longer afford to ignore. I’m not debilitated. Not by any means. But sometimes walking up stairs makes me scream inside. Sometimes holding onto a conversation takes an obscene amount of concentration. Sometimes I realize that no one around me is aware that I’m loaded with small but consistent amounts of pain medication to make it through the job and that I may have blacked out when no one was around only hours before. When I plan any work or social events on back-to-back days, I have to plan precious hours between them or know that it’s going to take a few days to catch up afterwards. I count my blessings – this isn’t about a sob story or a cry for a solution. It’s about the little things that keep it all in check. Today my dearest friend, whom I will forevermore call Muffin on here, told me I’d made a brave decision in leaving the well-paid cooking job that I loved but that completely depleted my limited stores of energy. Since that time my days have been a weird crucible of covering events, interviewing chefs, working on a book pitch for me and Brent, working on a chef’s book pitch, and keeping my family business in check. I make up for the lost income by cooking at photo shoots or stepping in at my prior job – both which require those small but consistent doses of prescribed pain killers and muscle relaxers. Some days, like yesterday, the consistent amount of work it takes to prevent a flare up feels like too much. I don’t look sick, and for that I am thankful. And the work I do in my private time is enough to ensure that most people don’t see me at a weakened state. Again, I count myself lucky for that. But it takes work, and being completely aware of a restorative moment.